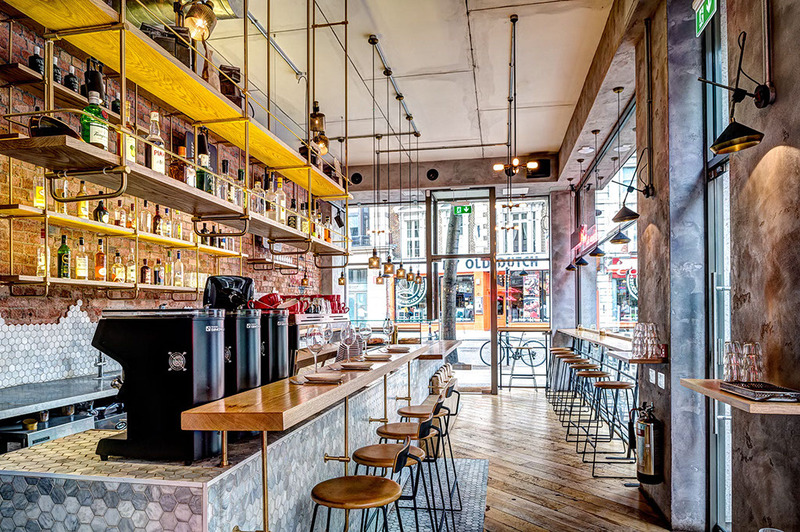 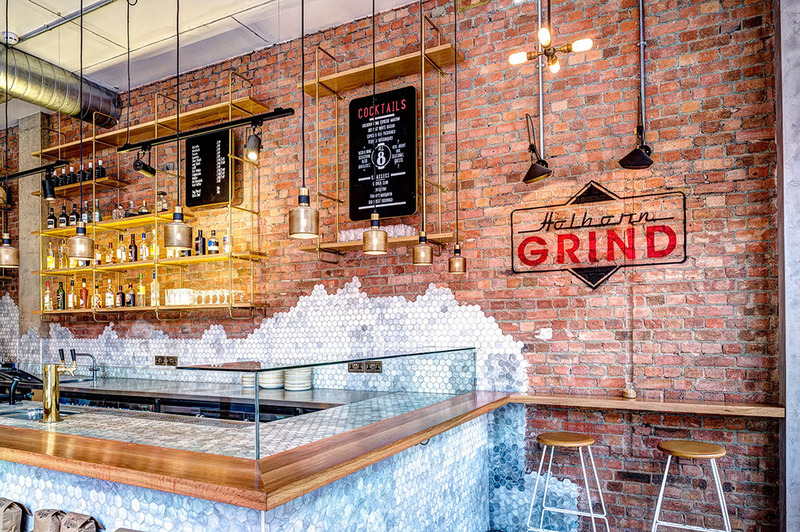 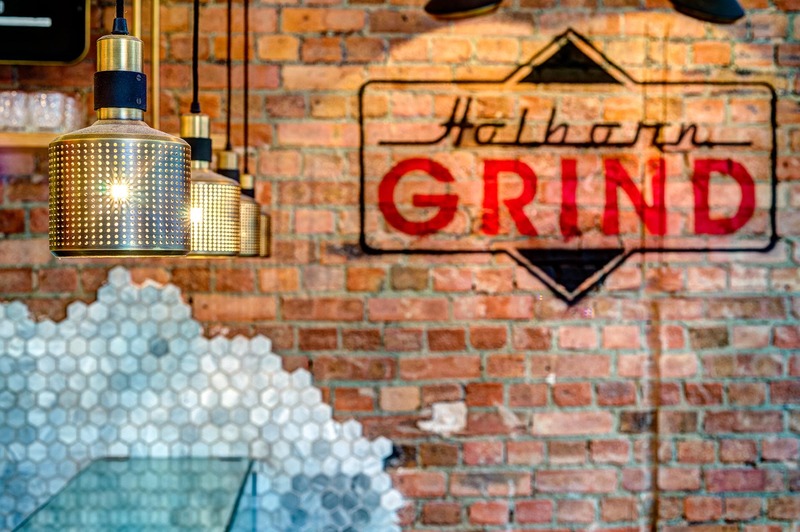 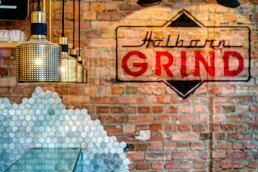 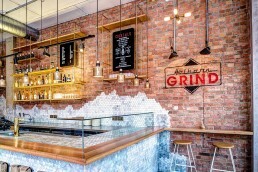 Following the success of Shoreditch Grind, Soho Grind and London Grind, UK enterprise Grind & Co has again collaborated with the studio to deliver sibling site, Holborn Grind. 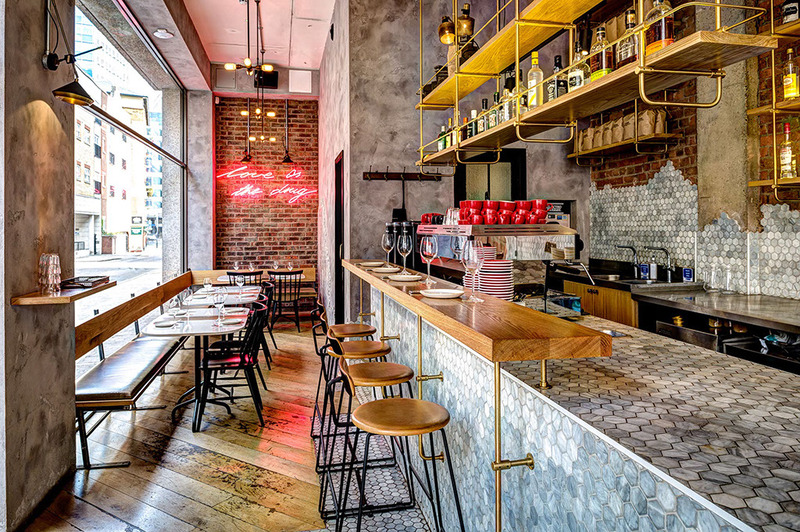 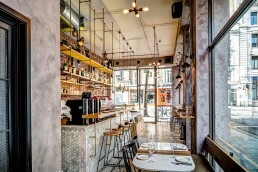 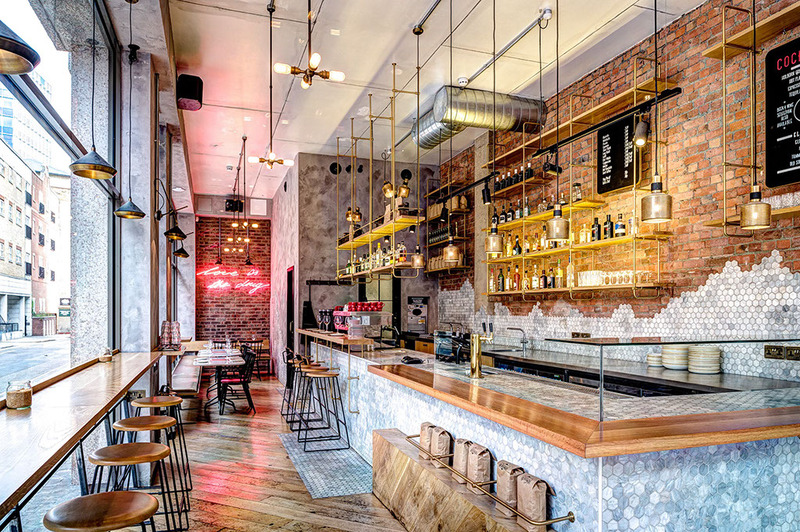 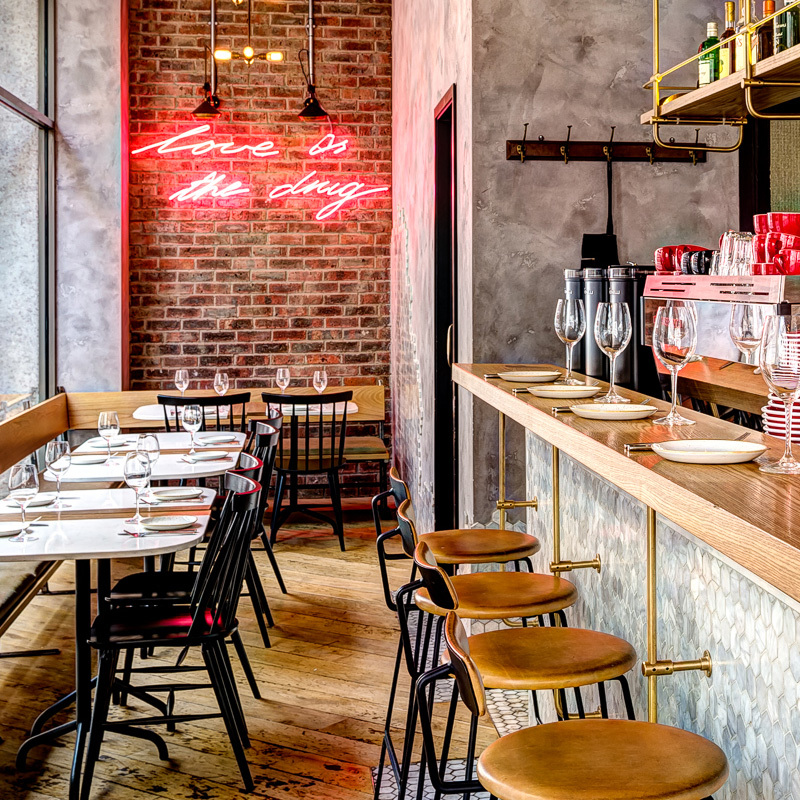 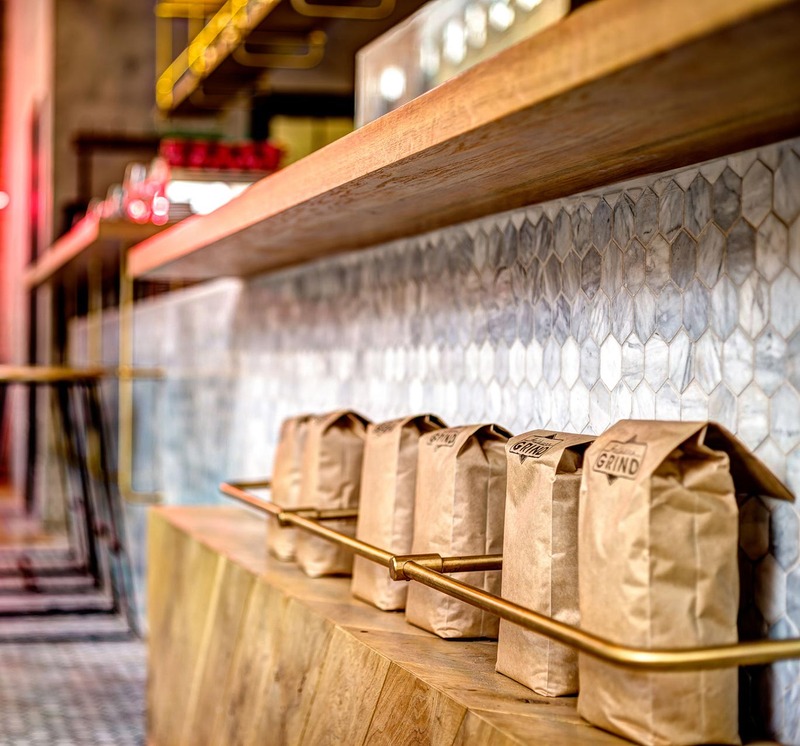 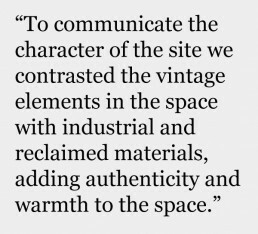 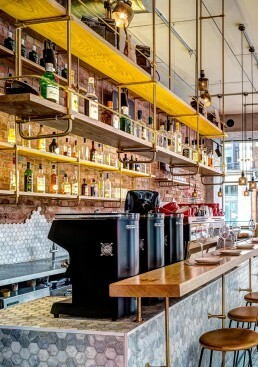 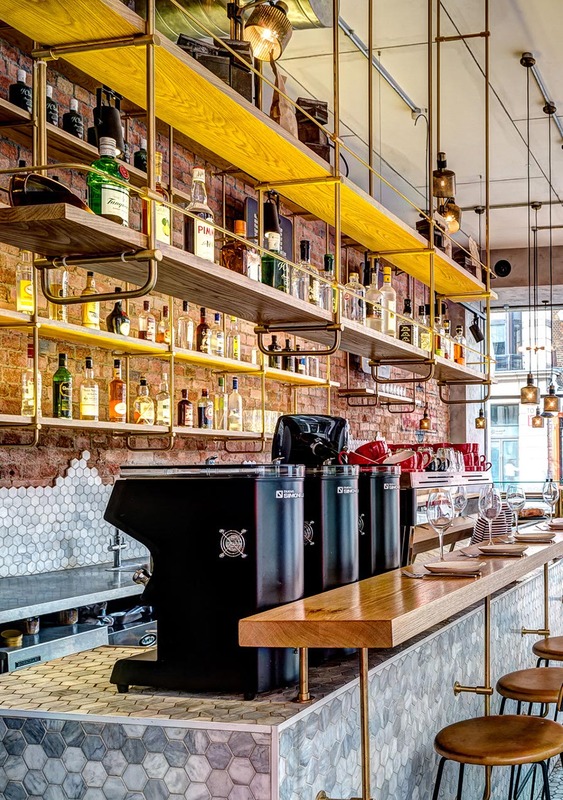 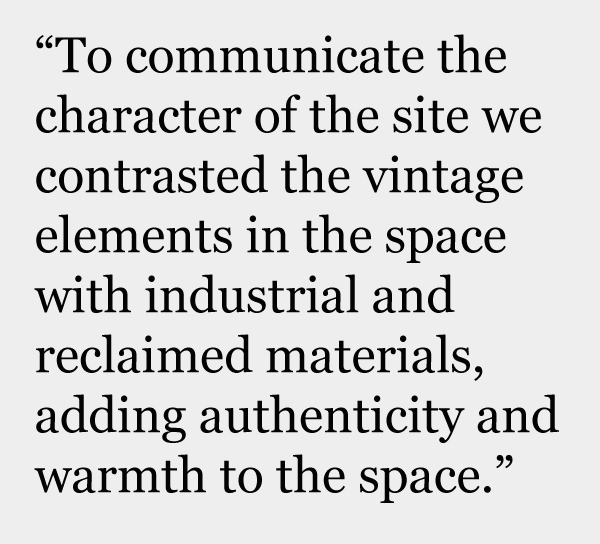 Resisting the urge to take itself too seriously, this venue has been designed to accommodate the transition from cafe to espresso bar, juxtaposing vintage elements with modern detailing to seamlessly work with operations. 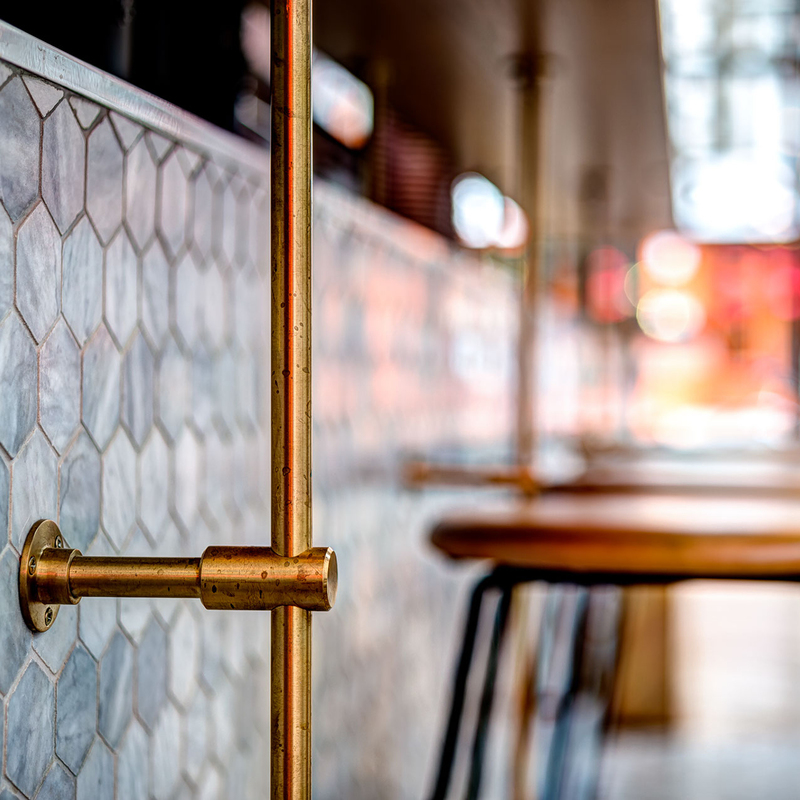 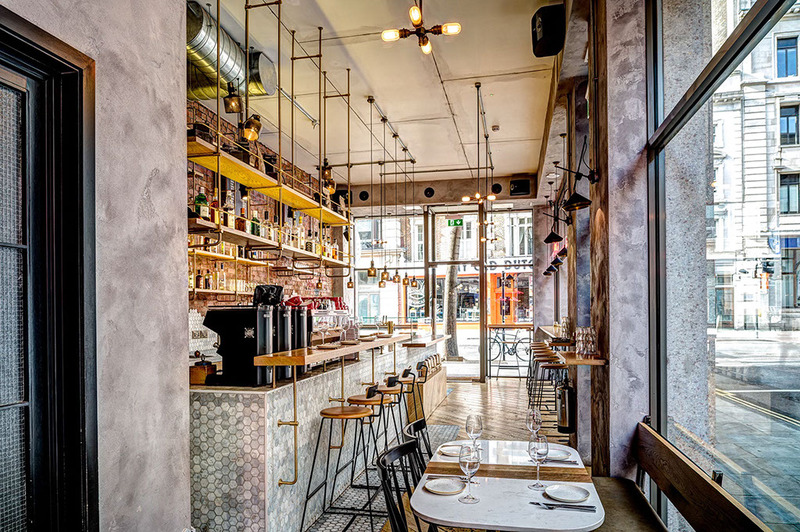 Bare brick, textured concrete render and reclaimed pale oak provides a raw backdrop upon which marble, brass and iron are layered to deliver an industrial effect. The result captures the unique tone of the neighborhood, all the while declaring, “Love is the drug” in a cursive neon – a reference to one of the Grind & Co founder roots in the music industry.